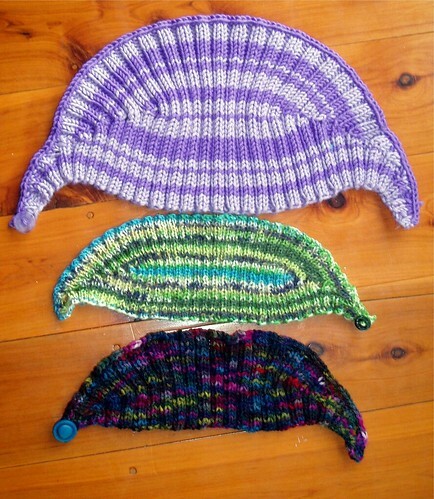 Ever wondered what to do with your left over sock yarn (as little as 15gms)? 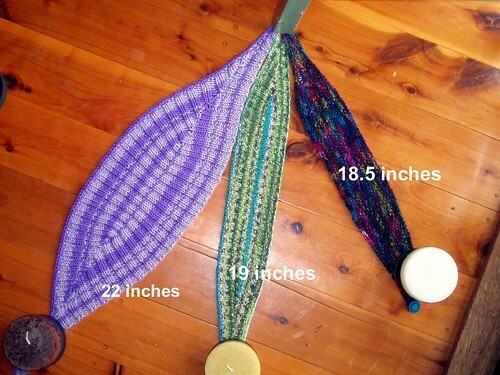 Or some handspun that you just don’t have enough of to do anything with (like about 45gms)? I've got so many spare skeins hanging around. Some are experiments that worked, some didn't make the grade. I wondered what to do with them, and with Chirstmas coming, what better way to use them up, then on gifts? 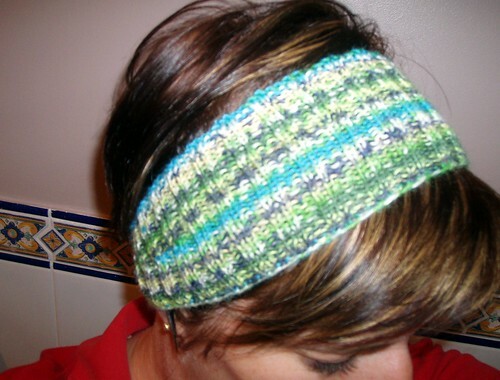 A study in Calorimetry kept me busy and helped me use up some of my left over yarn, both hand-spun and other yarn. 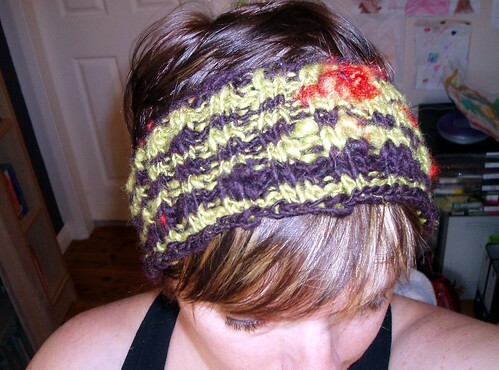 Not Calorimetry, but Knitty’s Calorimetry. Verdict - hmmmm, fits nicely (if anything - a little loose), but certainly too wide. Verdict - really like this one - but would probably add another 16 stitches when casting on just to make it a little wider. Exhibit C - some of my hand-dyed 5ply. Verdict - too small for me but perfect for Kaela. To make an adult size I would cast on 120 stitches. Verdict - really nice - it’s a keeper. I really got on quite a role with these - they are rather addictive too. It's hard not to rummage through your stash looking at all your left over yarns in a new light. 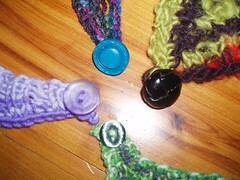 And what a great way to go through my button collection and find buttons to finish them off. I think that the best way to approach this project is with fun and experimentation. 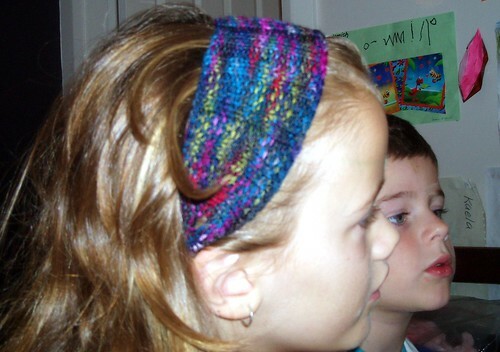 Try one - see what sort of result you get, and then add or subtract stitches for your next one. They really don't take long to whip up and are heaps of fun. Visit Donyale on her blog , where she discusses life, her family and of course knitting.